POWER ISO 5.8 FINAL, Sudah tidak asing lagi dengan software ini, Ringan, mudah,, dan sangat bermanfaat, tentunya.. untuk yang hobi buat FILE ISO, burning Operating system, Buat Bootble USB windows 7 windows 8.. dan masih banyak lagi..
Support almost all CD / DVD / BD-ROM image file formats (ISO, BIN, NRG, CDI, DAA and so on). What is DAA file? DAA file (Direct-Access-Archive) is an advanced format for image file, which supports some advanced features, such as compression, password protection, and splitting to multiple volumes. Open and extract ISO file. You can extract ISO file with a single click. Burn ISO file to CD, DVD, or Blu-Ray disc. PowerISO is a professional burning software. With this tool, you can create Audio CD, Data CD, Data DVD, Video DVD or VCD. PowerISO also supports Blu-Ray burning. Burn Audio CD from MP3, FLAC, APE, WMA, or BIN files.Rip Audio CD to MP3, FLAC, APE, WMA, or BIN files. Create ISO file or BIN file from hard disk files or CD / DVD / BD discs. 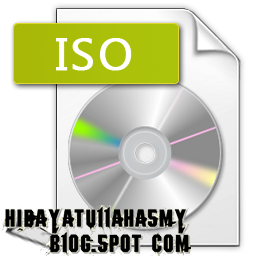 Edit ISO image file directly. Mount ISO file with internal virtual drive. PowerISO can mount all popular disc image files to built-in virtual drive. Convert image files between ISO / BIN and other formats. PowerISO can not only convert BIN to ISO, but also convert almost all image file formats to standard ISO image file. Create bootable USB drive. PowerISO allows you to setup Windows through USB drive. Make bootable ISO file and create bootable CD, DVD disc. Support both 32-bit and 64-bit Windows. Support creating file checksum(md5 and crc32). Some minor bug fixes and enhancements.